We have created Friends of SFHC as a way to support the ongoing work of SFHC. To make a donation to Friends of SFHC, please click here. Friends of SFHC is a project of the Center for Transformative Action, a 501(c)3 nonprofit organization, which accepts all funds on our behalf. When donating online, you will receive an electronic tax receipt statement from CTA for your records. Your donations will help support the construction of our SFHC Farmer Training and Research Center. Read more about this exciting new project here. 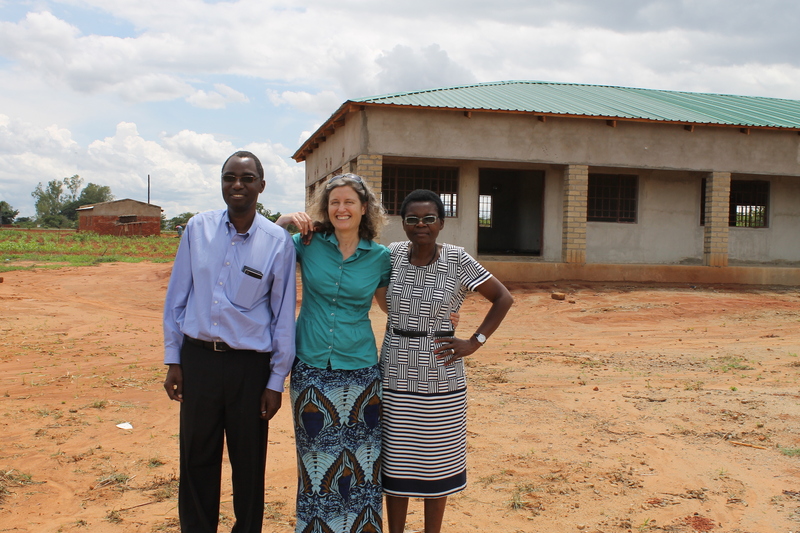 Esther Lupafya, Laifolo Dakishoni (members of SFHC) and Rachel Bezner Kerr (Friends of SFHC) standing in front of the Center. For more information about donations to SFHC, please contact Dr. Rachel Bezner Kerr (rbeznerkerr@cornell.edu) and Catherine Hickey (chickey6@uwo.ca).